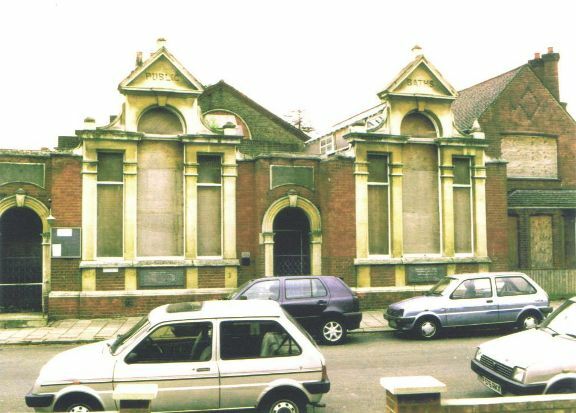 Fay Twydell has provided this photo from 1997 showing the Public Baths, Clifden Road: 'still there today'. The building closed in 1990. The Baths were designed by Nowell Parr and opened in April 1896. They are on land behind the library. See 'Brentford Past' by Gillian Clegg for more details, including a 1972 photo of a re-enactment of the bath's opening ceremony. See other photos provided by Fay dating from 1997.